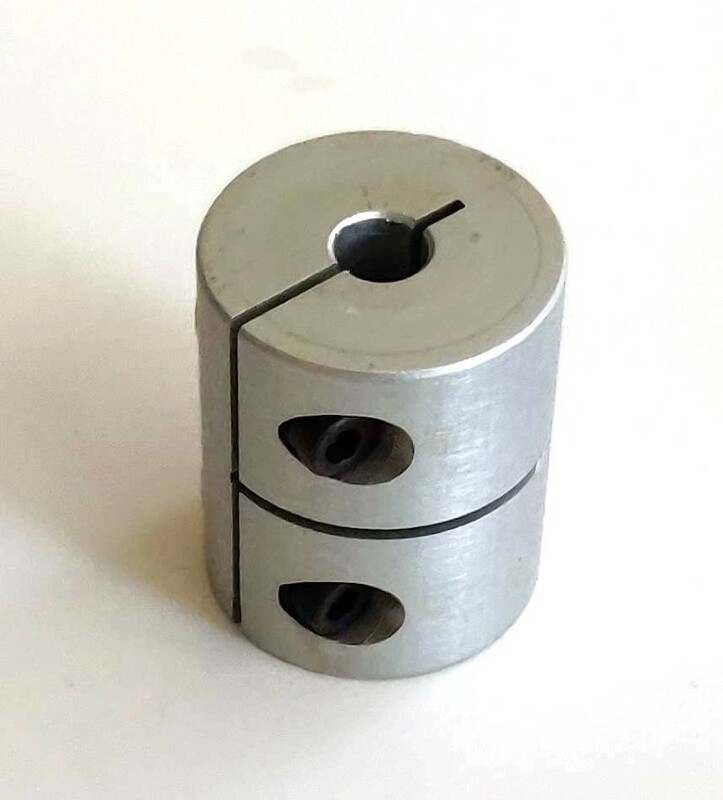 Generally, the motor shaft with a 1/2" diameter will be inserted in one end, and a shaft, or lead screw measuring 3/4" in diameter will be inserted into the other end or vice versa. The screws that clamp the shafts will be tightened. 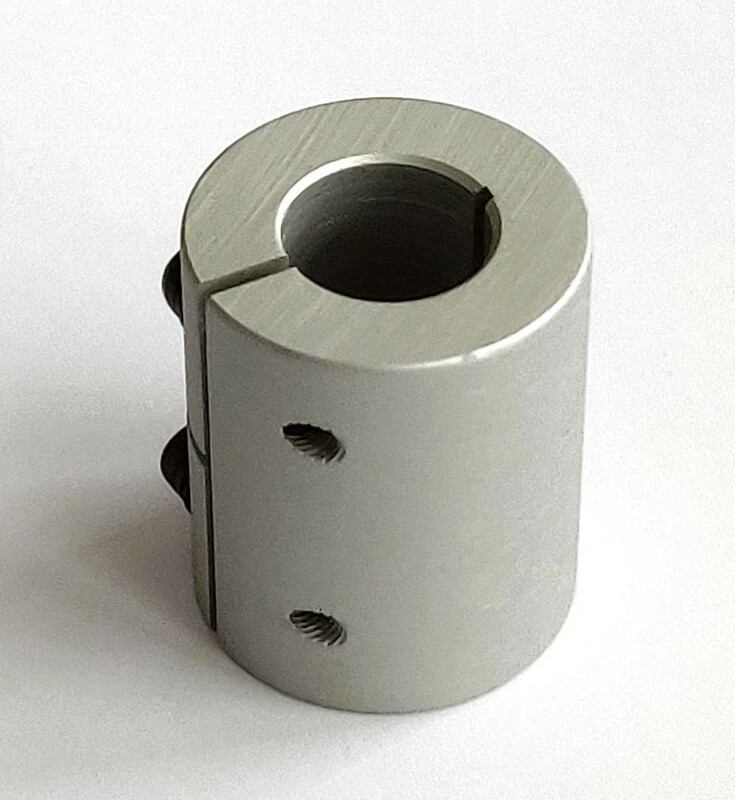 These steel clamping coupling are for use with high torque motors and high inertia when the motor is changing directions. This creative coupling solution comes from another generous user of the site. He has devised a way to couple the motor to the leadscrew with standard aluminum tubing. Marc has graciously allowed me to show you this creative idea.